Maruti Suzuki's 3rd-Gen WagonR is here: What has changed in 20 years? Years down the line, Maruti's Wagon R still remains one of the best selling cars to come out of the Indian manufacturers' Gurgaon plant. Now, as the manufacturing unit moves on to it's new location, the WagonR also has grown up. 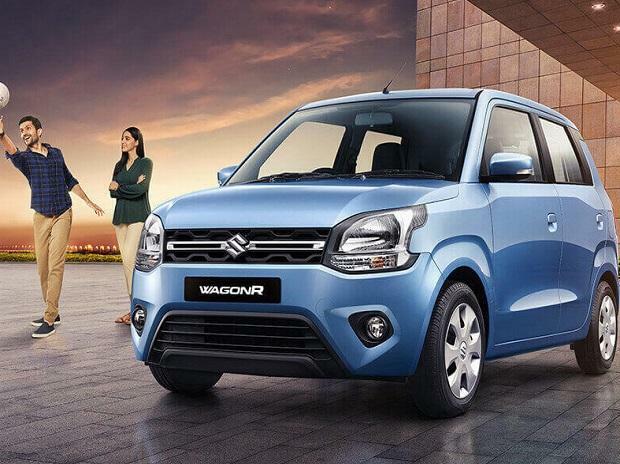 While the 'Tall Boy' from Maruti more or less retains the original silhouette of the car, the all new Maruti Suzuki WagonR is bigger now and is wider and longer than its predecessor. while the wheelbase has also been stretched by 35mm, the car is 150mm wider and 56mm longer than the outgoing model. Based on Maruti Suzuki's new Heartect platform that underpins the new-gen Swift, Ignis and Baleno among others, the new WagonR is surprisingly lighter (by 40kg) than the old one and safer, thanks to a high-stregth steel construction. In terms of cosmetic upgrades, Maruti has redesigned the WagonR with new headlamps, a new front grill and redesigned taillamps, but LED DRLs have been given a miss. However, there are no alloy wheels on offer in any of the new variants and the overall design looks a bit beefed up than the old one. While the dashboard and circular AC vents are the only identical parts borrowed from the outgoing model, Maruti has implemented plenty of updates to the interior of Maruti Suzuki. The all-new ‘x-theme’ design gives the interiors a fresh look. Steering-mounted controls and a new instrument cluster have also been added to enhance the feel. The dashboard also gets a 7-inch SmartPlay Studio infotainment system instead of the normal double-DIN radio setup seen in the older car. Although the infotainment system is below-par when compared to the units present in premium cars from Maruti's stable, it still supports Apple CarPlay and Android Auto. Apart from that, rear parking sensors, driver airbag and ABS with EBD are now standard on the new WagonR. The car comes in two engine variants, while the 1.0-litre 3-cylinder petrol engine from the outgoing unit continues to power the car, a 1.2-litre 4-cylinder K-series petrol engine is also available as an option. The 1.0-litre powertrain continues to churn out 68bhp of msx power and 90Nm of peak torque', and the car comes mated to either a 5-speed manual or an AMT grean box. However, there is factory-fitted CNG option available at the moment and it is a big surprise considering the WagonR is a popular car for cab fleets and they mainlyf run on CNG. While the outgoing car returned a mileage of 20.5kmpl, Maruti claims that the 1.0-litre engine returns a mileage of 22.5kmpl and 21.5kmpl for the new 1.2-litre engine. While the WagonR comes at a base price of Rs 4.19 lakh, the top model goes for upto a price of Rs 5.69 lakh. Although the new models come at a premium of Rs 4,000 to Rs 34000 (outgoing models were priced between Rs 4.15 lakh and Rs 5.35 lakh), it is still competitively priced. The addition of premium features as well as the likely introduction of CNG in later stages, will make the car an exciting option in the entry-level segment.